The Lei Company Cooperative, Inc. provides a year round and environmentally conscious avenue to purchase lei for a variety of occasions while evolving the craft of lei making and lei makers, and providing business ownership opportunities, training and employment to the Pasifika- melanesian, micronesian and polynesian community. Each exquisite locally handcrafted lei directly empowers our artisans, their families and our local economy. Reclaim the sacred. Inspire, educate and empower community members to become entrepreneurs though the art of lei making. Spread our values of GIVING and our exquisite leis around the world. Break the cycle of poverty, continue a legacy of community wealth building and together weave a brighter future. The Lei Company is breaking the cycle of poverty and spurring community wealth building through entrepreneurship and sustainable job creation. In 2013, the National Coalition for Asian Pacific Community Development reported that in the wake of the recession, from 2007-2011, Pacific Islander poverty in the United States increased 60%, 2.4 times greater than the national increase of 27%. Residing in the San Francisco Bay Area with its skyrocketing cost of living and widespread displacement, our artisans are feeling the crunch and are finding it harder to climb out of poverty even though the national economy is improving. 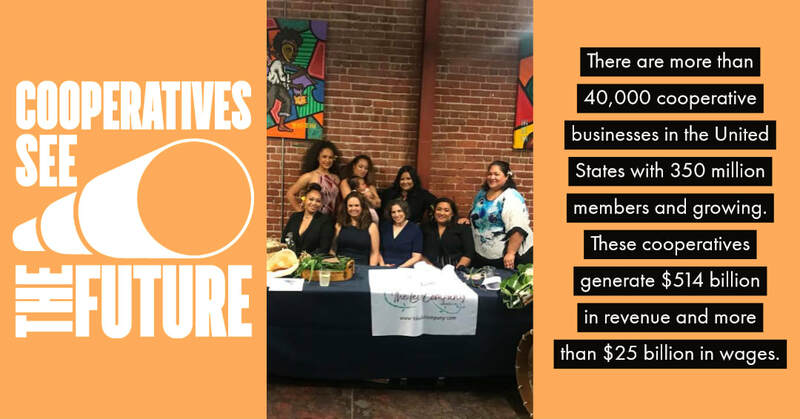 Through the Lei Company's entrepreneurial and community wealth building education, we are now empowered to reclaim the sacredness of our lei making heritage and earn a healthy income through dignified work. This is our foundation for a brighter future, woven with a hand up, not a hand out.